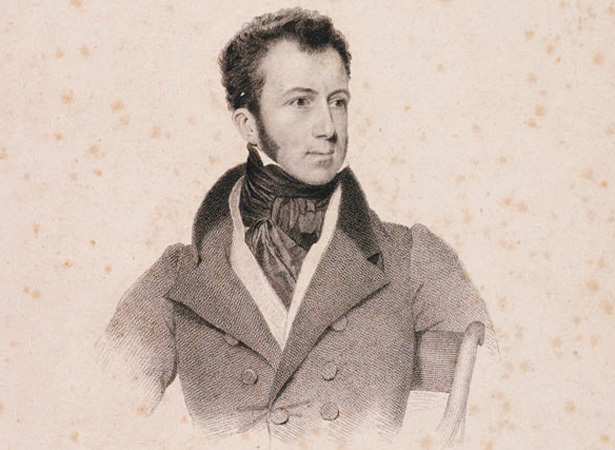 Edward Gibbon Wakefield, the mastermind behind the New Zealand Company’s organised settlement of New Zealand, first set foot in the country on 2 February 1853, 14 years after his brother William and son Edward Jerningham took part in the Company’s initial expedition. Snubbed in Canterbury, Wakefield arrived in Wellington on the very day that Governor George Grey proclaimed the colony self-governing under the New Zealand Constitution Act (UK) 1852. After a brief foray into politics, he would live the last years of his life in relative isolation. Shortly after his arrival in Wellington, Wakefield began to campaign to represent the Hutt both in the House of Representatives and on the Wellington Provincial Council. At a seven-hour meeting in the Aglionby Arms hotel he laboriously catalogued and corrected ‘misrepresentations’ of his views he claimed had been spread. He won working-class support with talk of a scheme to compensate labourers bought to New Zealand by the Company for its failed promises by giving them free free land grants. Within a fortnight he had been endorsed as a candidate. where the Company had done good, he claimed credit for its operations; where it had caused suffering and hardship, he disassociated himself from it and headed the attack. Wakefield was duly elected to both the House and the Provincial Council. At the end of the first session of the Provincial Council (October 1853 to February 1854) he was lauded as the ‘most able man in Wellington’. He publicly criticised Grey for failing to call the General Assembly before his departure from the colony at the end of 1853. Finally summoned by the acting governor, Lieutenant-Colonel Robert Wynyard, it met in Auckland on 24 May 1854. Though Wakefield’s motion for the introduction of ministerial responsibility was passed with only one member dissenting, New Zealand’s first Cabinet with executive powers was not to take office until 1856. Following several marathon constituency meetings in the Hutt, Wakefield was incapacitated by rheumatic fever in December 1854 and resigned from public office in 1855. Though he eventually recovered, he seldom ventured out of his house on Wellington Terrace, where he died on 16 May 1862, aged 66. We have 8 biographies, 8 articles, related to E.G. Wakefield elected to Parliament.